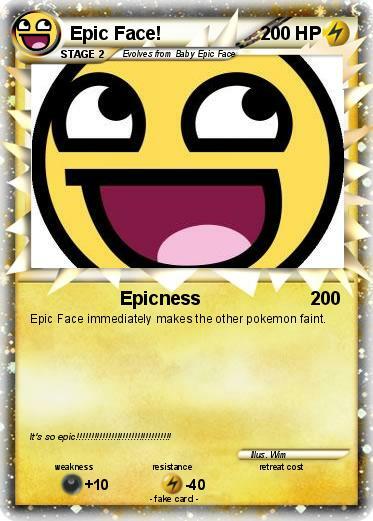 Epic Face immediately makes the other pokemon faint. Comments : It's so epic!!!!!!!!!!!!!!!!!!!!!!!!!!!!!!!! !